A Baker's cyst, otherwise known as a popliteal cyst, is a benign swelling found behind the knee joint. In adults, Baker's cysts usually arise from almost any form of knee arthritis or cartilage (particularly the meniscus) tear. The synovial sack of the knee joint can, under certain circumstances, produce a posterior bulge into the popliteal space, the space behind the knee. When this bulge becomes large enough, it becomes palpable and cystic. Most Baker's cysts maintain this direct communication with the synovial cavity of the knee, but sometimes, the new cyst pinches off. 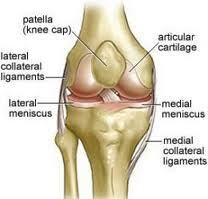 A Baker's cyst can rupture and produce acute pain behind the knee and in the calf and swelling of the calf muscles. Custom orthotics placed under your feet in your shoes can have a shock-absorbing affect taking pressure away from the tissues around the weight bearing joints such as the knees. This is one approach for treating the Baker's Cyst. Dr. Michael Horowitz offers a 5-Step process to successfully treating Baker's Cyst. He can help evaluate & diagnose your condition and recommend the best course of action for you. Call Vancouver Orthotics at 604-737-3668 for more information. What is the most effective treatment for baker's cyst? What exercises & stretches do you recommend for baker's cyst? What other symptoms are most commonly associated with baker's cyst? What shoes are best for baker's cyst? Where can I get medical hardware for baker's cyst?